An exclusive over at The Hollywood Reporter has revealed that Robert Kirkman (creator of "The Walking Dead" comics) will be taking a stab at producing a science fiction film. 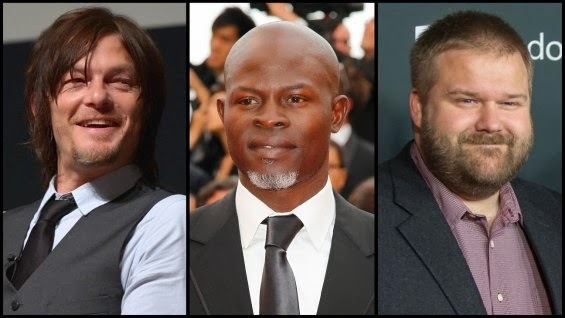 Ironically, the thriller, titled "Air," will star "Walking Dead" fav, Norman Reedus as well as Oscar nominee, Djimon Hounsou. According to THR, "Sony Pictures Worldwide Acquisitions is in final negotiations to acquire the project." Also attached to this "low-budget pic" are Christian Cantamessa (who wrote the script) and Chris Pasetto who will make his feature directorial debut. Joining Kirkman (who's producing under his Skybound Entertainment banner) on producer duties will be David Alpert (the Circle of Confusion partner that also exec produces "The Walking Dead"), Brian Kavanaugh-Jones ("Insidious") and Chris Ferguson. The story is set in an underground cryogenic facility after a nuclear fall-out renders the atmosphere unbreathable. Air centers on its two custodial workers (Reedus, Hounsou) who take care of the cryogenically sleeping personnel that are to re-establish society but they struggle to preserve their own sanity and lives while maintaining the extremely fragile environment of the last livable place on earth. We'll keep you posted on any new developments. 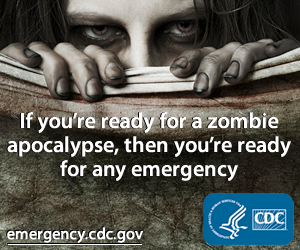 We just hope this doesn't mean Norman will be too busy to fulfill his walker-killing duties.